(L) Arthur Ellis sheds a tear outside of Abay Wheeler’s bar in the Kingsessing section of Philadelphia where shortly after midnight a man opened fire, killing three, including Ellis’ 18-year-old son Arthur Jennings. 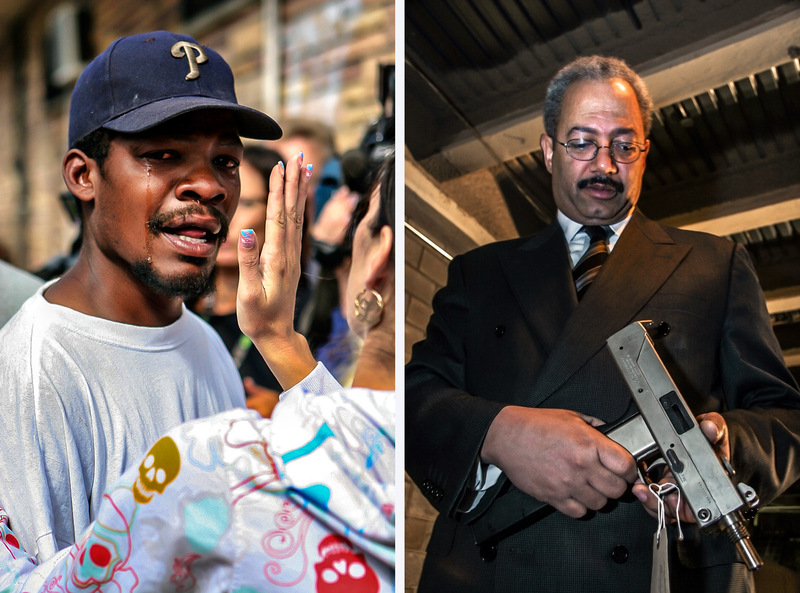 (R) Congressman Chaka Fattah examines a street legal semi-automatic mack-11 gun, which was turned in for a grocery voucher during the guns for groceries program. Fattah discussed the program during a press conference held at the Philadelphia Police evidence warehouse.